Cancer treatments, including chemotherapy, have helped many of those who have been diagnosed with the disease to go on to live healthy lives. Nevertheless, chemotherapy takes a toll on the body. During treatment, chemotherapy attacks all of the body's cells, not just cancer cells. The result destroys healthy cells, causing many patients to suffer major side effects during and after treatment. And because current treatments aren't specifically targeted to cancer cells, only 0.01 percent of chemotherapy drugs actually reach the tumor and its diseased cells. "I'm working on figuring out how we can deliver more of the chemotherapy drugs to the tumor and less to healthy cells," says Sofie Snipstad, who recently graduated from the Department of Physics at the Norwegian University of Science and Technology (NTNU). 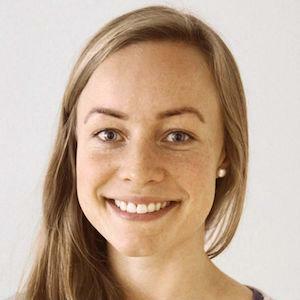 Last year, she won a Norwegian science communication competition for PhD candidates called Researcher Grand Prix. When she made her winning presentation about her research during the competition finals, she was in the middle of testing a new method of cancer treatment on mice. Now her research has shown that the method can cure cancer in mice. Her study, "Ultrasound Improves the Delivery and Therapeutic Effect of Nanoparticle-Stabilized Microbubbles in Breast Cancer Xenografts" has just been published in the academic journal Ultrasound in Medicine and Biology. Snipstad's method targets cancerous tumors with chemotherapy so that more of the drug reaches cancer cells while protecting healthy cells. The experiments were conducted in mice with an aggressive breast cancer type (triple negative). Researchers undertook many laboratory experiments before conducting their tests with mice — which were the first actual tests using this delivery method for chemotherapy. In addition to causing the tumors to disappear during treatment, the cancer has not returned in the trial animals. "This is an exciting technology that has shown very promising results. That the first results from our tests in mice are so good, and that the medicine does such a good job right from the start is very promising," Snipstad says. Instead of being injected straight into the bloodstream and transported randomly to both sick and healthy cells, the chemotherapy medicine is encapsulated in nanoparticles. When nanoparticles containing the cancer drugs are injected into the bloodstream, the nanoparticles are so large that they remain in the blood vessels in most types of healthy tissues. This prevents the chemotherapy from harming healthy cells. Blood vessels in the tumor, however, have porous walls, so that the nanoparticles containing the chemotherapy can work their way into the cancerous cells. "My research shows that this method allows us to supply 100 times more chemotherapy to the tumor compared to chemotherapy alone. That's good," Snipstad says. However, the nanoparticles can only reach cells that are closest to the blood vessels that carry the drug-laden particles, she said. That means that cancer cells that are far from the blood vessels that supply the tumour do not get the chemotherapy drugs. "For the treatment to be effective, it has to reach all parts of the tumor. So our nanoparticles need help to deliver the medicine," she said. The nanoparticles used by Snipstad and her research team were developed at SINTEF in Trondheim. SINTEF is one of Europe's largest independent research organizations. The particles are unusual because they can form small bubbles. The nanoparticles are in the surface of the bubbles. These bubbles are an important part of the cancer treatment. Another essential part is the use of ultrasound, which is Snipstad's area of research. The bubbles that contain the chemotherapy-laden nanoparticles are injected into the bloodstream. Ultrasound is then applied to the tumor. The ultrasound causes the bubbles to vibrate and eventually burst, so that the nanoparticles are released. The vibrations also massage the blood vessels and tissues to make them more porous. This helps push the nanoparticles further into the cancerous tumor, instead of only reaching the cancer cells closest to the blood vessels. "By using ultrasound to transport the chemotherapy-laden nanoparticles into the tumors, our research on mice has shown that we can deliver about 250 times more of the drug to the tumor compared to just injecting chemotherapy into the bloodstream alone," she says. Group 1 received no treatment, and the tumor continued to grow. Group 2 received the treatment using drug-laden nanoparticles. The growth of the tumor stagnated after time, but the tumour did not disappear. Group 3 received the treatment using drug-laden nanoparticles, bubbles and ultrasound. In this group, the tumor shrank until it disappeared. One hundred days after the treatment was discontinued, the mice were still cancer-free. "For the treatment to be effective, we have to trick the cancer cells to take up the nanoparticles so that the chemotherapy reaches its target," Snipstad says. To study this process, she has grown cancer cells and examined them under a microscope. Here, she has seen that the nanoparticles camouflage the chemotherapy drug, allowing the cancer cells to take them up. But for the treatment to work, the nanoparticles have to release the cancer drug exactly when and where it is needed. "We can do that by changing the chemical composition of the nanoparticles so that we can tailor properties, including determining how quickly the nanoparticles break down. After the cell takes up the nanoparticle, the nanoparticle dissolves and releases the cancer drug inside the cell. That causes the cancer cell to stop dividing, and it will eventually shrink and die. NTNU physics professor Catharina Davies heads the research group of which Snipstad is part. The group mainly works with nanoparticles. The NTNU group works closely with SINTEF and St. Olavs Hospital in Trondheim. NTNU conducts the animal tests and studies the cancer cells. SINTEF has developed the bubbles containing nanoparticles, which provides the research platform. The cancer clinic and ultrasound group at St. Olavs contribute with their clinical skills. "One of the things that I like about this project is that so many good people with different backgrounds are involved. Trondheim has a very good interdisciplinary environment, and this project needs all of these different disciplines for us to make progress," Snipstad said. While research results are very promising, it will still be some time before the method can be used in humans. "It can take from 10-20 years from the time a discovery is made in the lab until it can be used as a treatment," Snipstad said. "We've been working on this about six years, so we still have a lot to learn. We need to understand more about the mechanisms behind our success and we have to do much more work using microscopes to understand what is happening inside the tissues." Snipstad said that the find also has researchers excited to test the method on other types of cancers, because each type of cancer is different. This combination of bubbles, nanoparticles and ultrasound also opens the door on the possibility of treating brain diseases. The brain is protected by a special blood-brain barrier, which makes it difficult to deliver drugs to the brain for treatment. This barrier allows only substances that the brain needs to pass through the barrier, which means that for many brain diseases, there is no treatment whatsoever. "But there is hope. By using ultrasound and our bubbles we have managed to deliver nanoparticles and drugs to the brain. This may be promising for the treatment of cancer and other diseases in the brain," Snipstad said.